Jhpiego’s Dr. Leslie Mancuso helps launch an innovative e-training to strengthen health care providers skills in managing pregnancy-related complications. Kuala Lumpur, Malaysia (May 27)—Jhpiego, UNFPA, Intel and the World Health Organization introduced innovative e-modules to strengthen the skills of midwives and other health care providers in managing pregnancy-related complications such as obstructed labor, excessive bleeding after birth and pre-eclampsia/eclampsia. 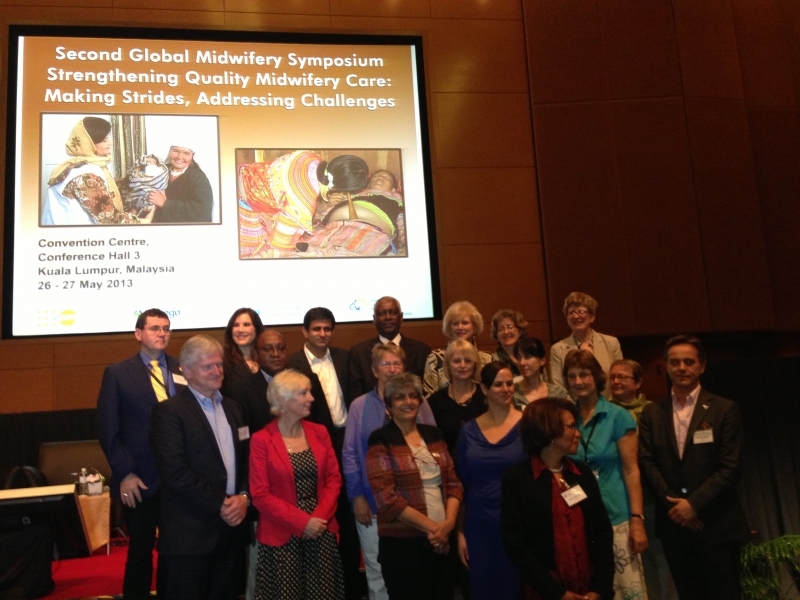 The e-learning modules were unveiled at the close of the Second Global Midwifery Symposium held in Kuala Lumpur, prior to the Women Deliver Conference. The new learning tool will be available online and offline using the Intel® skoool Health Education (HE) platform. Dr. Mancuso explained that the modules are the result of “decades of e-learning- based implementation data,” the latest techniques in training and the advice and expertise of International Council of Nurses, International Council of Midwives and FIGO. “It allows countries to customise what’s best for their countries. Most importantly, it is about bringing training solutions to the people, rather than the people to the training solutions,” added Dr. Mancuso. Speaking through a video telecast, Intel Vice President John Davies said Intel believes technology is critical for advancing the health of people’s lives. As part of its mission, Intel has “agreed to use our training tools and IT training capabilities and start specifically to deliver training to over 1 million frontline health care workers in rural developing economies,” said Mr Davies. 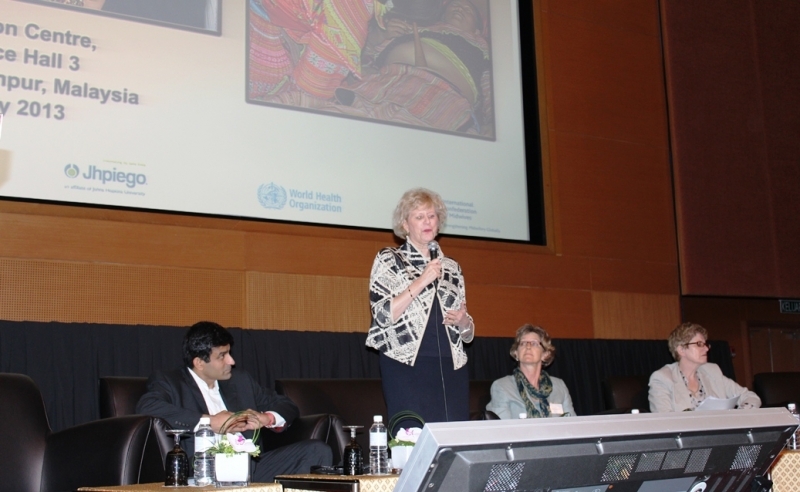 Jhpiego is a proud signatory of the Declaration of Commitment, which resulted from a two day symposium on global midwifery in Kuala Lumpur in the days before the Women Deliver Conference. Jhpiego’s Dr. Leslie Mancuso joins leaders in maternal health and public and private partners to support increasing the number of skilled midwives worldwide.